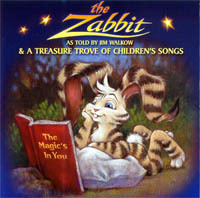 The Zabbit is the story of Abbott, an extraordinary and most unusual looking rabbit, who learns many important values from his parents, including, "Keep the love in your heart and always be kind. Create your own luck by using your mind." 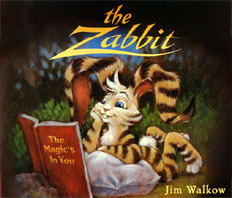 We follow Abbott's remarkable journey in the magical forest of Zimm and are drawn into his adventure as he evolves into the amazing "Zabbit." He learns to believe in himself and, in the process, saves his own life. He becomes a hero to all of the animals in the forest who had previously teased and taunted him.